Your chance to live and experience the modern conveniences of the newly developed and continually growing 2nd City of Kapolei! 3 bedroom, 2.5 bathroom 2 story condo built in 2016. D xE9;cor includes bright accented walls, plantation blinds, split A/C, upgraded refrigerator/stove, luxury vinyl flooring in kitchen/entry. Balcony has a generous storage closet. Steps to eateries, massage, barber shop, community park, enjoy 2 walking/jogging paths, club house with pool. Close drive to Restaurants, Grocery and Health Stores, Fitness Centers, Theaters, Mall, Government Offices and more. 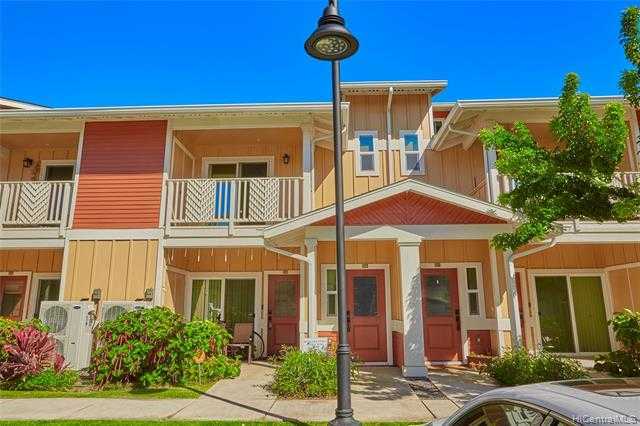 Please, send me more information on this property: MLS# 201904039 – $535,000 – 458 Manawai Street Unit 506, Kapolei, HI 96707.